The military focus of the project was the history of the 16th Battalion of the Devonshire Regiment (Royal Devon Yeomanry). The Battalion was formed from volunteer yeomanry units, recruited from North Devon, and spent the majority of the war fighting in Palestine. Although a mounted regiment at the start of the war, the soldiers were soon parted from their horses and served for most of the war as infantry. The fact that this was a locally recruited unit means that local historical links are strong and it is possible to discover the stories of individual soldiers and their families. Many men were from small ‘low-church’ villages such as Langtree and Meshaw. These men travelling far away from home would have seen religious sites they had long studied. This project not only added to the picture of local heritage during the First World War but also engaged with local history and youth groups to explore the Regiment’s thoughts and actions, fighting in the Holy Land. 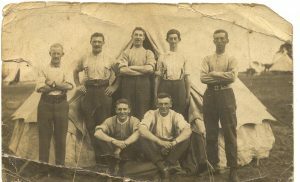 The project focused on the stories of Devon men who were involved in fighting in Palestine, bringing to light an important battle of the 16th Battalion, researching and documenting for the first time, the Battle of El Foka (3 December 1917), ten miles north west of Jerusalem. The museum holds Private Herbert Algar’s war diaries, documenting the battle, where the battalion suffered over 300 casualties. 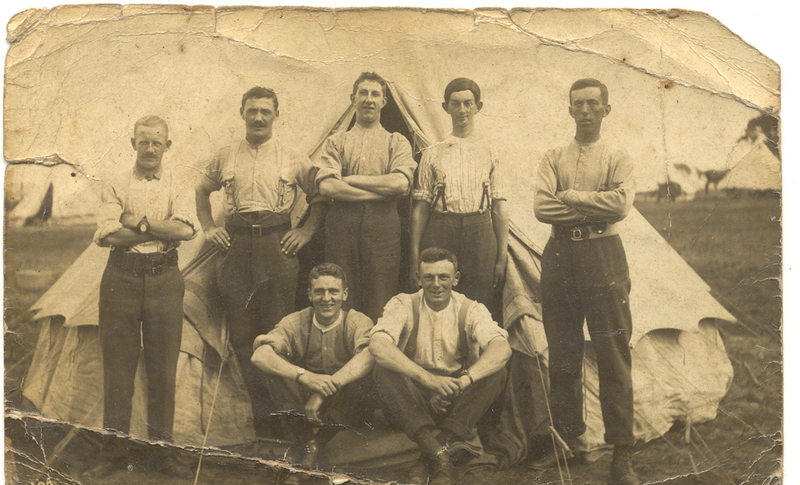 To build on the regimental records held at the Museum of North Devon, the project teamed up with Beaford Arts, which holds a large photographic archive illustrating rural life in the area. This material was made available to ‘Away from the Western Front’ to place the soldiers’ stories in their rural setting. We worked with the The Plough Youth Theatre Juniors and filmmaker Jess Pearson to create a film. Besides following the research process, this explores the soldiers’ experiences of the war, exploring the emotional conflict between their religious backgrounds and fighting in Palestine. The project also featured in the Museum of Barnstaple and North Devon’s First World War gallery. During the project we were also able to make contact with the Commonwealth War Graves Commission and have added a page on the Jerusalem War Cemetery, including photos of the headstones of some of the soldiers from the Devonshire Regiment who were killed at the Battle of El Foka.